This painting is a Brand New Gallery offering for Ebay Collectors of M Baldwin Fine Art. 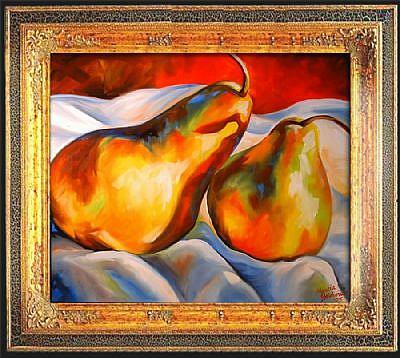 STILL LIFE painting of TWO PEARS. 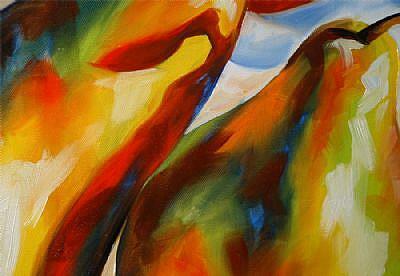 This is a EXCITING composition with VIVID HUES throughout and striking brush stokes for an impressionistic style. 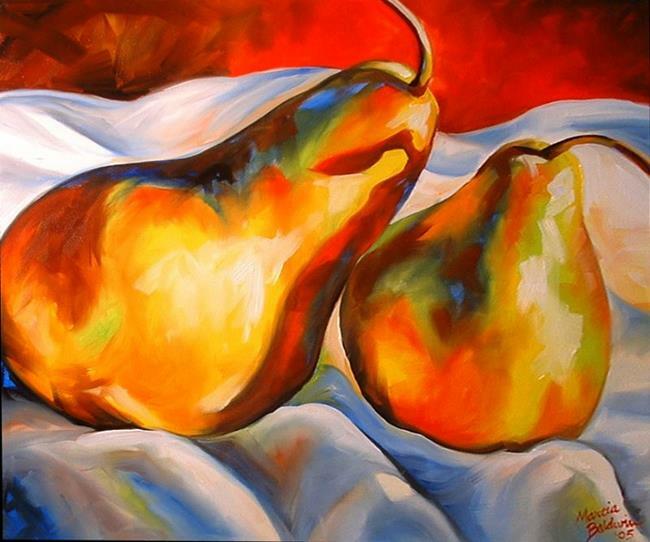 From the Popular STILL LIFE ART KITCHEN Series, 2005 by Marcia, “PEAR SHADOWS” is a ShowCase piece. PERFECT for your home or office decor. 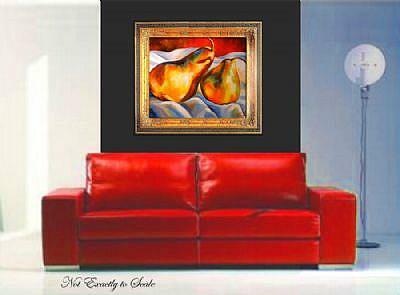 It is A LARGE 24”X 20” in SIZE, just perfect for YOUR DECOR and looks magnificent framed in a wide molding. Framing is not necessary though, it is on gallery wrapped canvas, and the edges are painted. It is also completely sealed with artists varnish to protect it from dust and dirt for years to come. Gallery Value: $2200. My paintings continue to increase in value as buyers from all over the world are building their collections. Get YOUR collection started today with this magnificent painting! !